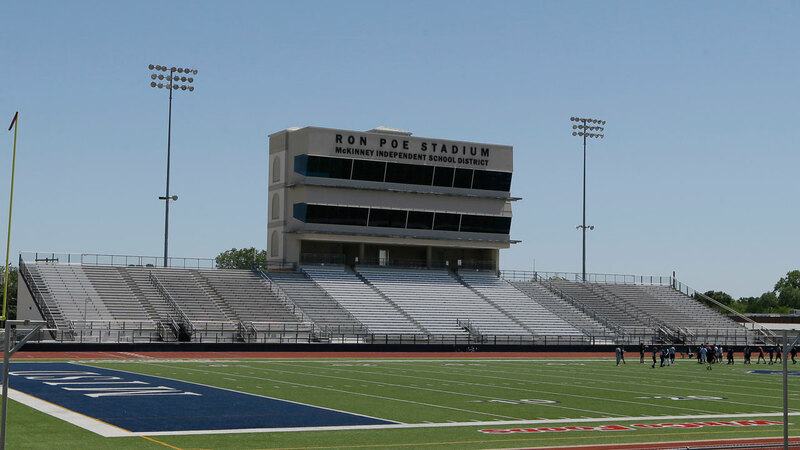 MCKINNEY, TX -- Rising construction costs have pushed the price tag for a high school stadium north of Dallas to a whopping $70 million. Voters in McKinney approved a bond package in May that set aside $50 million to build a 12,000-seat football stadium. Another $11 million previously was set aside for site preparation and other work. But The Dallas Morning News reports officials recently learned that concrete prices have soared, driving up the cost. A decision to do additional road construction around the stadium also is contributing. The new construction estimate would appear to make the project the most expensive high school stadium ever built. The school district is one of the fastest-growing in Texas. Three high schools would use the stadium, and soccer and lacrosse teams also would compete there.